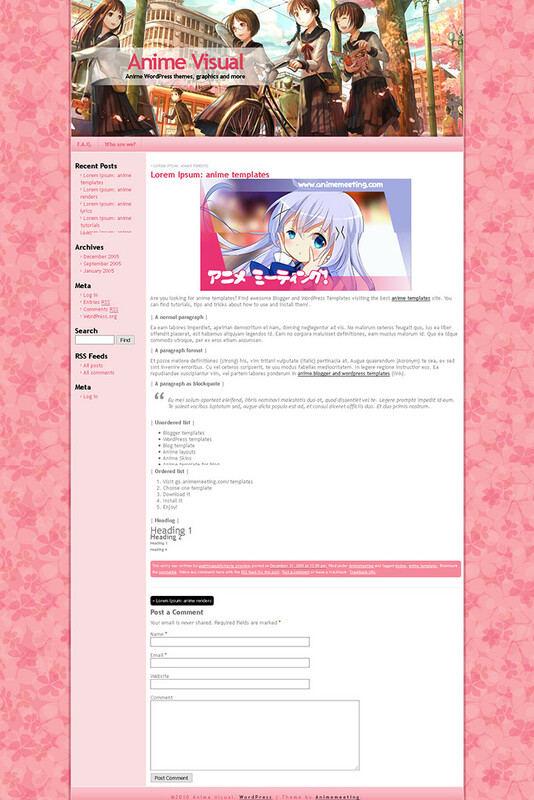 Well, here’s a new Anime WordPress theme made in “girly” colors. This theme is very simple, this time I decided not include theme options page and other features. Although, its crowsbrowser compatible and have anime look and feel.